Education programs BRAVEHEARTS Increasing resilience among children : Awareness of sexual abuse. GVCASA provides education programs within schools aimed at increasing resilience and confidence among children and increasing awareness of the impact of sexual abuse and its cause. An example of this work is the Bravehearts program which provides both healing and preventative strategies and is offered to children in school settings from prep through to year 3. For information Bravehearts please visit www.bravehearts.org.au or contact (03) 5831 2797. 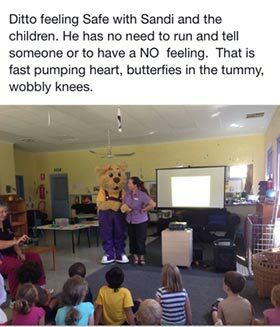 An important aspect of the Bravehearts program is that it presents important information to children whilst being sensitive to maintaining young children’s innocence.